'The Firm' is finally coming to Blu-ray next week! Best Buy has an exclusive on it for now, and the suspense-filled Grisham adaption will be available on the 29th. As has become custom here at High-Def Digest, we like to dive into the careers of major stars and dissect the choices they've put into their roles. 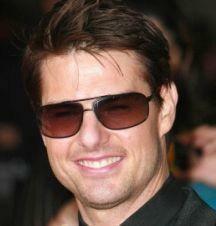 Today, we'll take a look at one of the world's biggest movie stars with one of the most infamous grins, Tom Cruise. You may, like me, think Tom Cruise is a nut job in real-life. He's certainly earned such branding with his ridiculous statements he's made over the years, on everything from the evils of psychotropic drugs to his wild outburst on Oprah when he announced his undying love for Katie Holmes. Putting aside his real-life craziness, I still think Tom Cruise is a great actor. Sure, he's had a few roles that he's completely phoned in, but who hasn't? Sure, he's picked some stinkers to be in, but again, nobody's perfect. The truth is, Cruise has starred in some classic films and has been able to grow into one of the few worldwide Hollywood superstars. Note: Some people have assumed that my listings in the Best and Worst sections implied I was ranking each movie. I haven't been ranking each movie within their sections, just a simple list of the best and worst. To squash any subsequent confusion the lists will simply be alphabetized. One of Tom Cruise's very best films is his military courtroom drama 'A Few Good Men,' where he played the not-so-by-the-book lawyer Lt. Daniel Kaffee. You may be noticing by now that I didn't put 'Rain Man' on Cruise's Best list, and that's because I'd argue that 'Rain Man' is Dustin Hoffman's show and not really Crusie's film. 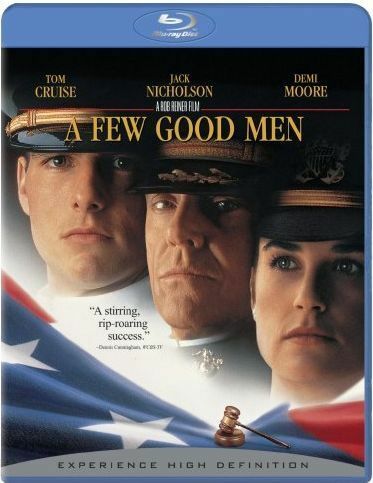 Even though Nicholson has some great scenes in 'A Few Good Men', and some may argue it's Nicholson's film, I think Cruise gives this film its energy. He goes toe-to-toe with Nicholson in the famous "You can't handle the truth!" scene and never backs down. Scripted by Aaron Sorkin, 'A Few Good Men' sits near the top of Cruise's illustrious filmography. We were so used to seeing Cruise as the good guy, the atypical hero-type, that we never thought what it would be like to see him in the bad guy role. 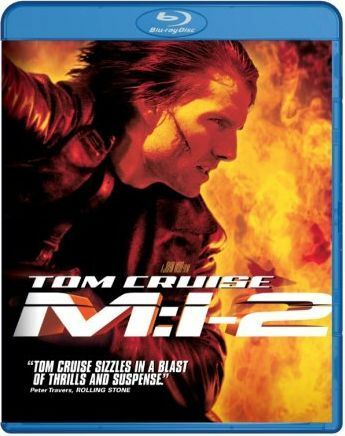 I didn't know what to think of Cruise taking on the role of an antagonist, but after I laid eyes on Michael Mann's tale about a cab driver who comes face-to-face with an assassin and becomes an unknowing accomplice in his night of death dealing. Cruise is perfect as a bad guy here. I was surprised at how easily he melted into the role of Vincent the hitman. 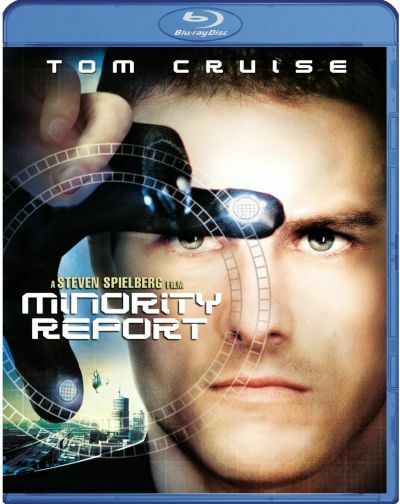 Truthfully, I think 'Minority Report' is one of the best science fiction movies I've ever seen. Spielberg and crew were able to create a highly detailed and amazing looking future where we could believe that these people could predict future crimes. The movie raises pertinent issues of freedom and if we can deter someone from committing a crime, the question is should we? Also, should that person be imprisoned for a crime they haven't actually committed? While Cruise steps back into his comfortable role of quintessential good guy here, I have a hard time believing there's a lot of actors out there that could've pulled off this role. I mean, controlling that interactive computer could have turned out extremely silly, but Cruise and his determined facial expressions make it work. The original is one of the best suspense/espionage thrillers out there. This movie that came out in 1996 still holds up even today as an intense and thrilling, twisting-turning whodunit. 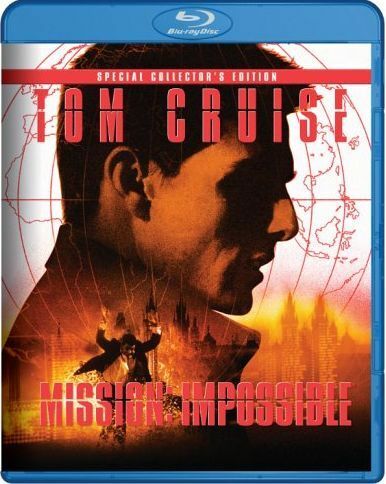 'Mission: Impossible' remains, to this day, one of my favorite movies of all time. It's paced perfectly, and keeps you guessing all the way up until the end. I still have no idea why spikes come down at the top of an elevator shaft to impale Emilio Estevez, but besides that weird scene 'Mission Impossible' is one of the most enjoyable spy thrillers out there. 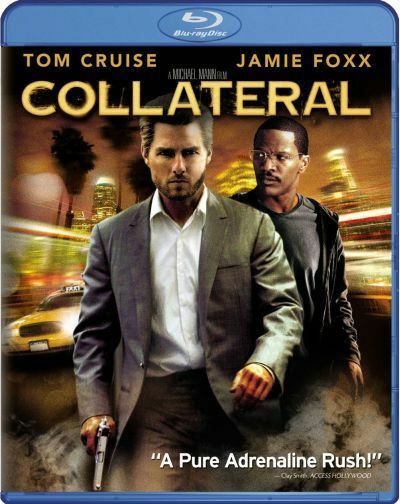 Tom Cruise's top-rated film on RottenTomatoes.com. It sits at 98 percent on the TomatoMeter. While that may not be an accurate barometer for everyone, I think those high praises are well deserved for 'Risky Business'. This is the movie that rocketed Tom Cruise into the position of a notable leading man. A few years later he did 'Top Gun' and that solidified his super stardom. 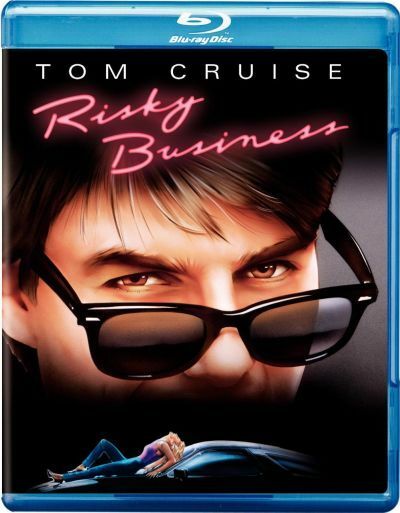 While Cruise has spent much of his recent movies running around, shooting guns, and diving away from explosions, 'Risky Business's coming-of-age tale showed us that the young Cruise could really act in a dramatic role. Every time I see this movie on basic cable early Saturday morning I just laugh. 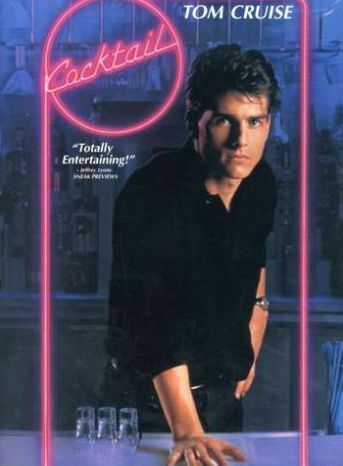 Cruise has done a lot of good movies, but him as a bartender in Jamaica who falls in love is just ridiculously awful. There's not much else to say other than this one is a chore to sit through, and as soon as it's over you find yourself wishing you had two hours of your life back -- and/or someone to pour you a very stiff drink. Isn't Cole Trickle one of the best stock car driver names you've ever heard of? It's perfect! Sadly, that's about the only thing this movie got right. 'Days of Thunder' is a shallow, pathetic movie that never attempts to ever mean anything more than watching hunks of metal fly around an oval track. 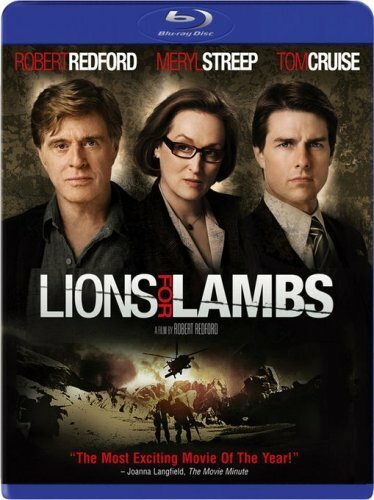 I actually liked some parts of 'Lions for Lambs', but overall it felt like Redford's film becomes mired in murky politics and ideas that are always there on the surface, but never really resonate. Halfway through it seems to lose its steam, meandering on in sort of a free association of differing ideals and political values. In the end, it's a frustrating movie to watch due to the way it's so disjointed and inconclusive. If the first 'Mission: Impossible' movie is one of the best spy thrillers out there, then its sequel is one of the worst. John Woo took over the directing chair and everything went down the crapper. Even Cruise's faux mullet hairdo got in the way. The movie was a bloated, unrealistic mess that resembled a really bad 'Bond' film rather than a more down-to-earth espionage thriller. Don't even get me started on the dove scene. John Woo drives me nuts.. I have to apologize to fellow HDD writer Luke Hickman here, because 'Vanilla Sky' happens to be one of his favorite movies. Unfortunately, I have to say that I don't agree. Not only is this one of the many films where you can't understand a word Penelope Cruz says, it's also a messy – and at times pretentious – movie. My favorite critical quote about 'Vanilla Sky' comes from Rex Reed who said, " A good example of what self-destructive cinematic havoc can be wrought by handing over millions of dollars to movie stars to produce their own ego trips." I feel like that sufficiently describes this American remake of a Spanish movie ('Abre Los Ojos') that wasn't all that great to begin with. Of course, there are notable releases that I ended up leaving out. 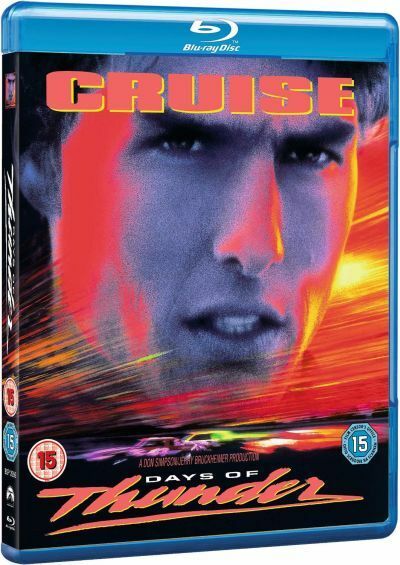 It's only a total of ten movies that I am able to pick, but Cruise has an extended filmography that spans decades now. Honorable mentions for the Best section could include 'Tropic Thunder' (one of Hollywood's best cameos ever), 'Magnolia', 'The Last Samurai', and 'Jerry Maguire'. What do you think? 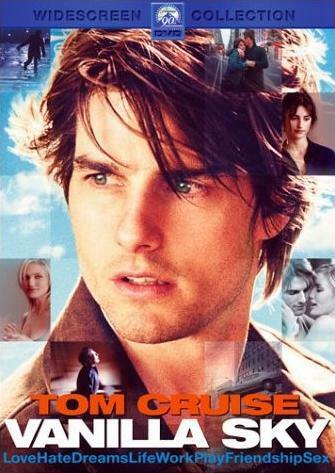 What are your favorite or least favorite Tom Cruise movies?